This 1,100 sq m showroom and event space in the bustling area of Porta Nuova is perfect for Fashion Showrooms, Private Events and Product Launches. 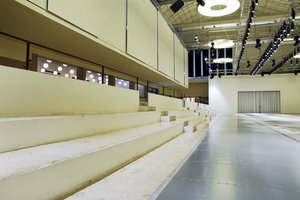 The modern space has a theatre style entrance and is perfect for events with a reception area on entry. 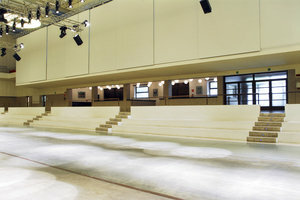 The main room is a classic event space with seating at each side of the room facing onto the large main floor area which is accentuated by extensive lighting. The interiors are minimal yet contemporary with white walls and a polished white floor. 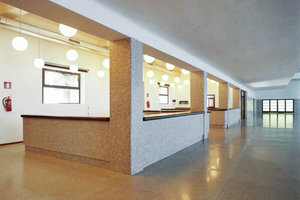 The venue offers extensive facilities making it well-equipped to host a range of different events. 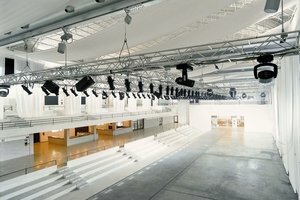 Located in the business hub of Porta Nuova close to Moscova Metro this space is a popular venue for Fashion Week and is an impressive location for high-end events.